The first round of modernizing our entry floor restaurant and event area at Otakaari 7 is nearing completion. Starting Monday June 12th, we’ll start work at the gallery and open workspace lobby area. By end of August, we should be all done. 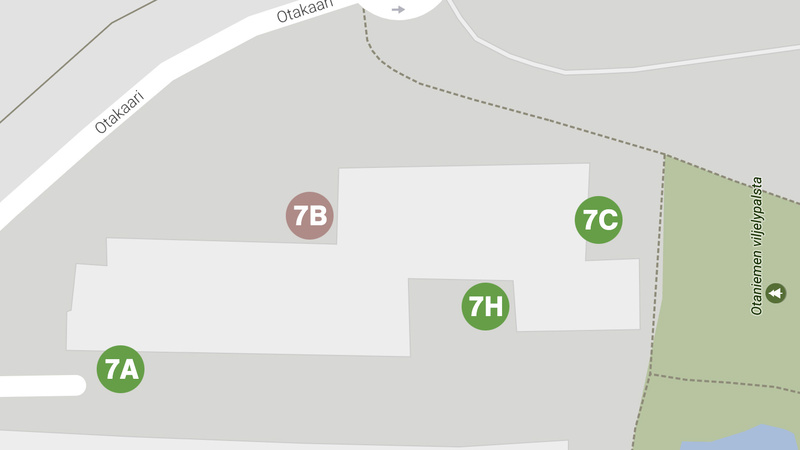 Our main entrance and lobby at Otakaari 7B will be closed from Jun 12th to Aug 15th. The building can be accessed through 7A, 7C and 7H from the courtyard side, but these doors require a keycard. Please call your host ahead of time to arrange entry, or +358 50 372 6867 for local property services.